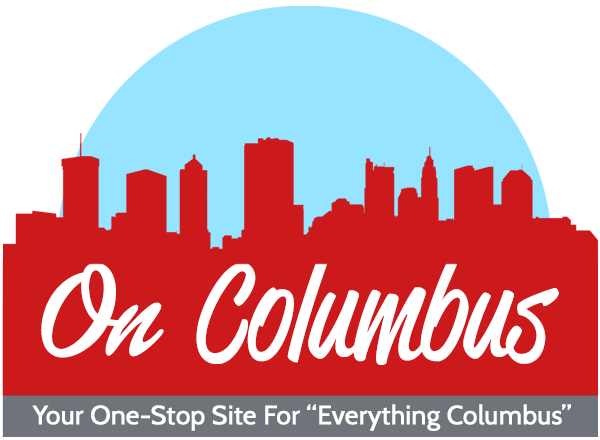 Home » Articles » Local » Shuler King Comes to Cleveland! 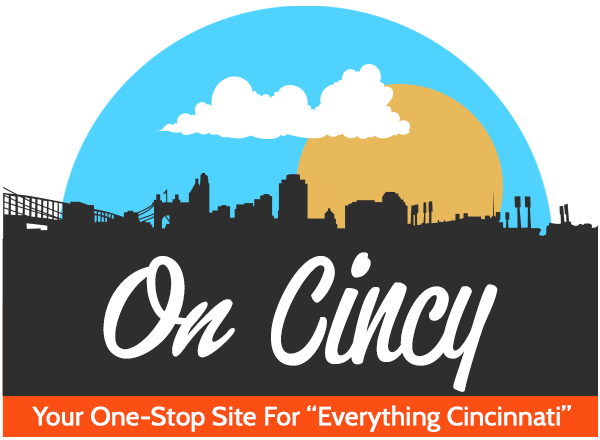 Comedian and internet sensation, Shuler King, is making his way to Cleveland! 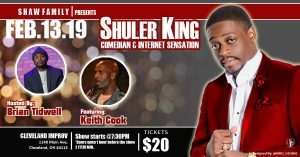 Shuler King takes the stage at Cleveland Improv (1148 Main Avenue Cleveland) this Wednesday Feb 13. Doors open at 6:45 p.m. and the show begins at 7:30 p.m.
Comedian Shuler King was born Frank Williams III in Sumter, South Carolina. He knew at an early age that he was destined to be an entertainer especially since he was the kid known for cracking jokes. King grew up in a traditional 2-parent household in the Bible Belt of the South, where Faith, Hard Work and Education were the foundations of what his parents imparted on him and his two siblings. Comedy is his passion, but he has taken a rather unusual path to get to where he is thus far. He graduated from the University of South Carolina with a B.A. in Media Arts where he joined The Mighty Illustrious Zeta Zeta Chapter of Omega Psi Phi Fraternity, Incorporated. In 2013 he graduated from Gupton Jones Mortuary College with a degree in Mortuary Science. When he isn’t on the road performing at comedy clubs and special events across the country, King works as a licensed funeral director and embalmer in Georgia and South Carolina at his family’s funeral business in South Carolina. He wants to keep his family’s business and legacy alive. He’s probably the only Comedian/Funeral Director on the comedy circuit. King has opened for some of the most notable and talented comedians and comediennes in the industry. He credits his parents strict yet loving upbringing, his harsh surroundings growing up and the state of the country today with giving him his comedic style, which he describes as RAW. King says “Comedy isn’t about being happy all the time. Comedy is just as much about pain that people endure. When you hear 20,000 people in an arena laugh at a joke it’s because they all can relate to experiencing that same pain”. His comedy career began while he was a Freshman in college, after he took the stage for the very first time at the NCO Club on a military base and the rest is history. King is one of the most energetic rising comedians in the business. Although the comedy business can be very tough and filled with ups and downs, King credits his unwavering Faith in God as the calming force in his life which keeps him pushing forward. His hilarious videos he posts on his social media have quickly become fan favorites. His recent video post about Donald Trump went viral and was even played on a UK television show. The future is definitely bright for King. For more information about his comedy shows go to his website www.ShulerKing.com and follow him on Twitter, Instagram and Facebook at @ShulerKing.